6 As and 1 B! You can't ask for a whole lot better than that eh?! So, to celebrate Tatjana's report card, we took her out for dinner at the Sushi Cafe. 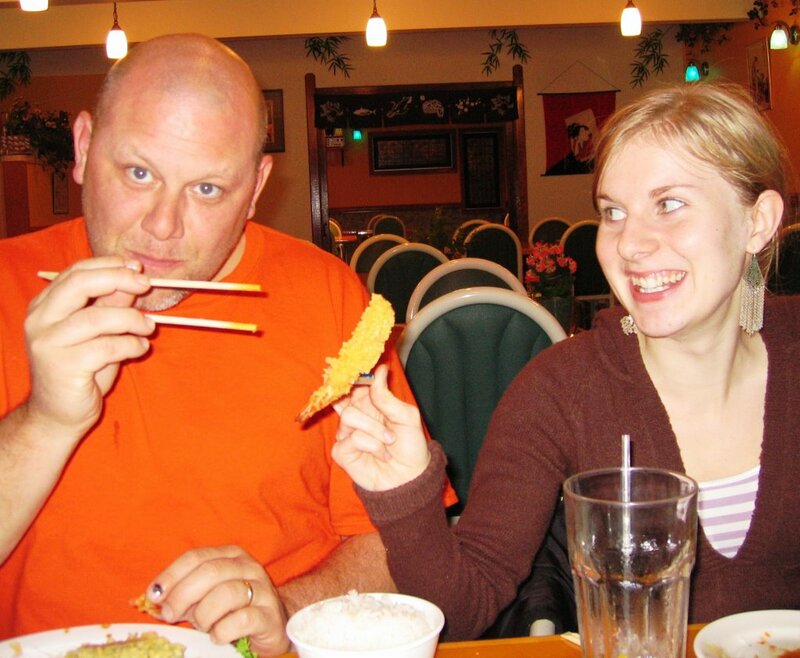 Here's Mike and Tatjana mastering the art of eating Tempura Shrimp with chopsticks.